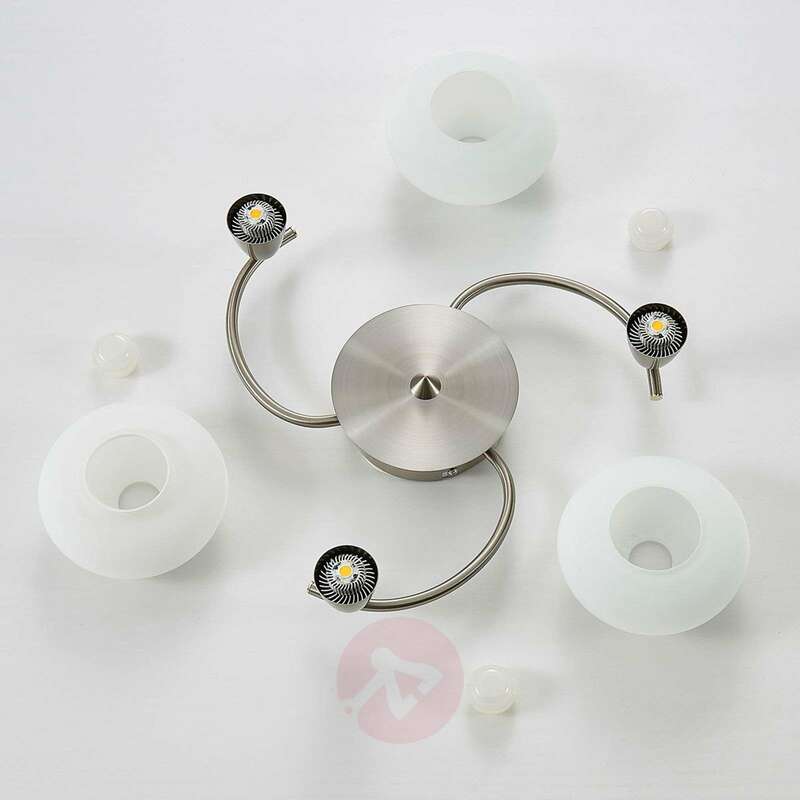 The LED ceiling light Espen can be awe-inspiring with a timeless touch because the frame has a matt silver nickel finish while the lampshades are made of white opal glass. 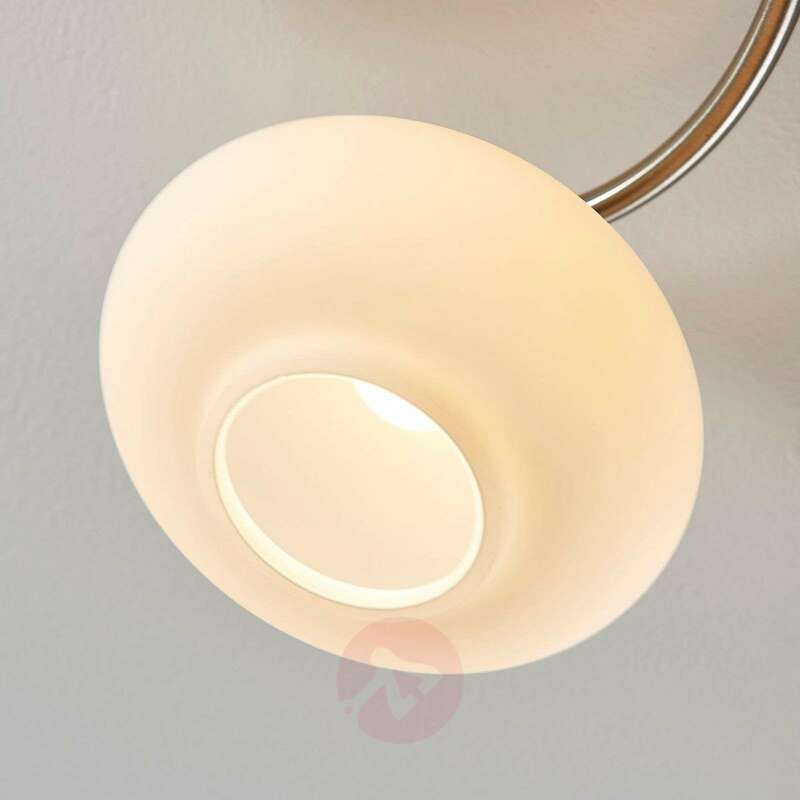 They are capable of warmly and evenly distributing the light of the built-in COB (chip-on-board technology) LEDs. 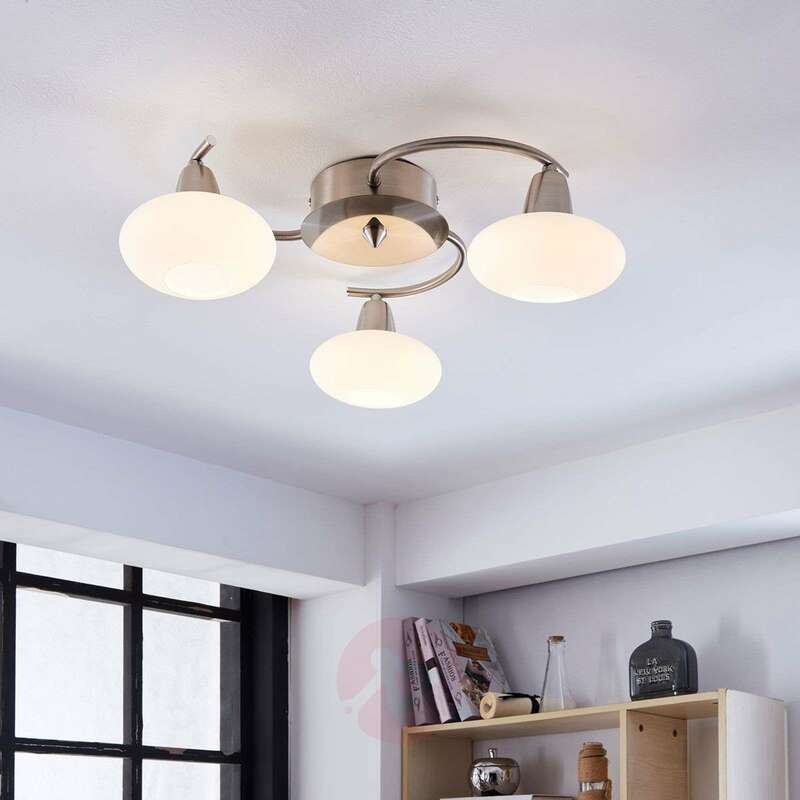 The LED ceiling light in 3-light version is especially suitable for medium-sized rooms. 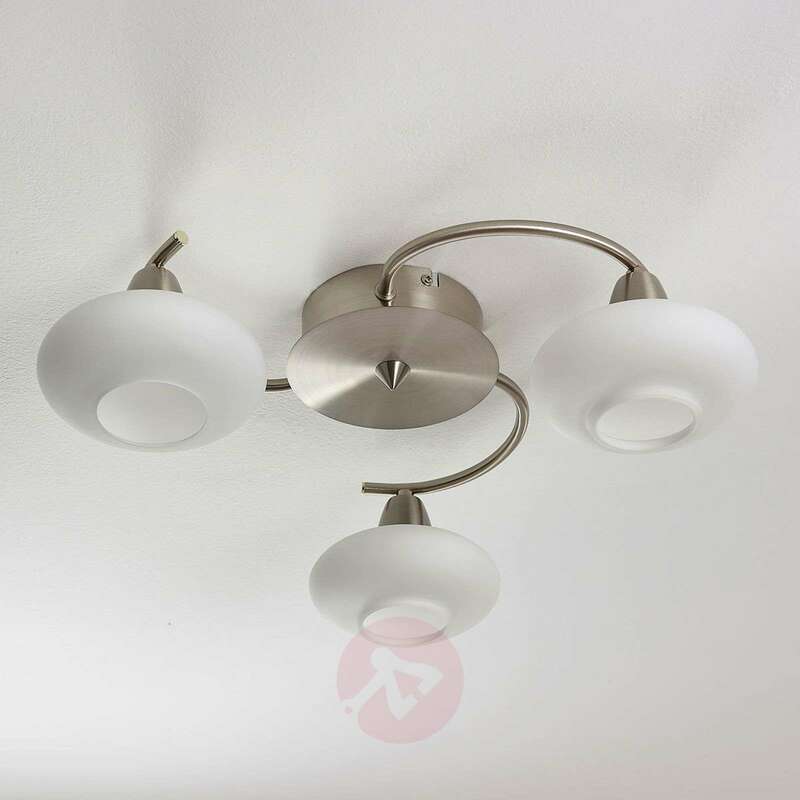 is this epsen 3 light fitting dimmable? 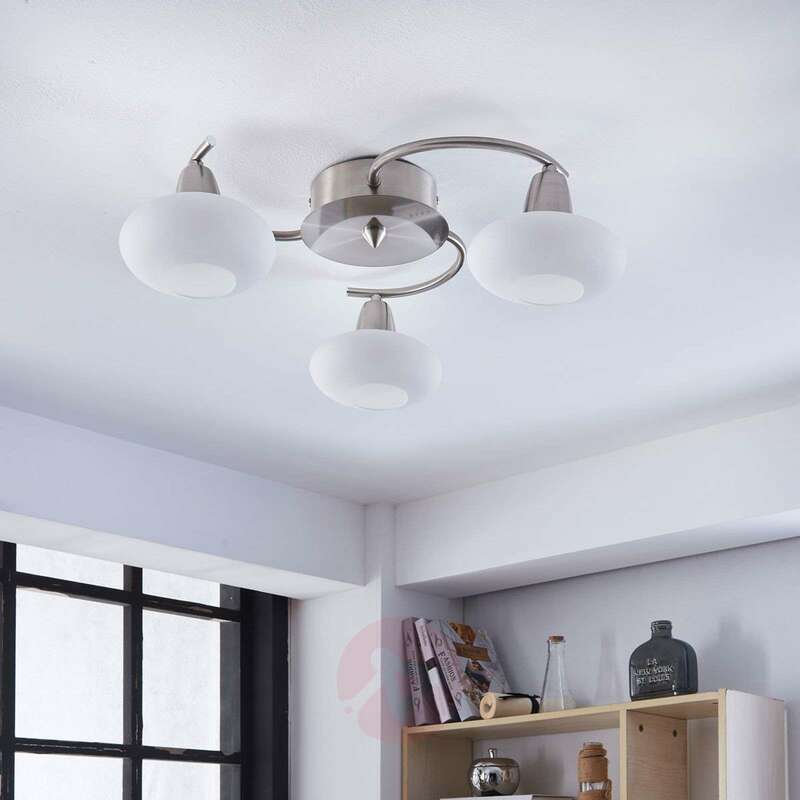 Due to the permanently fixated LED's and the fact that the light does not have an integrated dimming function, it won't be suitable to operated it as a dimmable light. This light has built-in LED's . They can't be replaced. 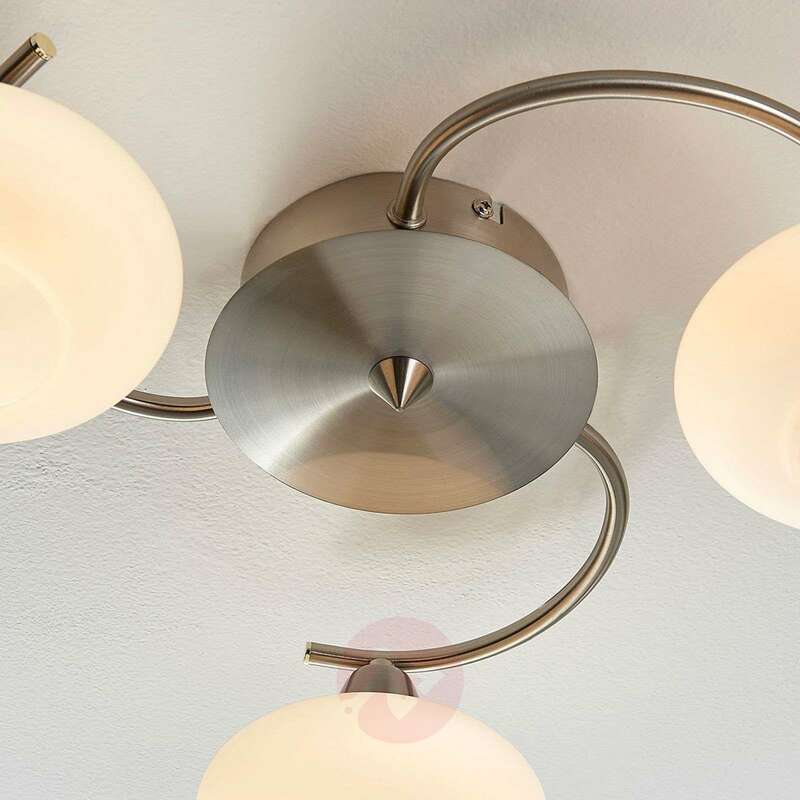 If the light fails, then the complete light needs to be replaced. 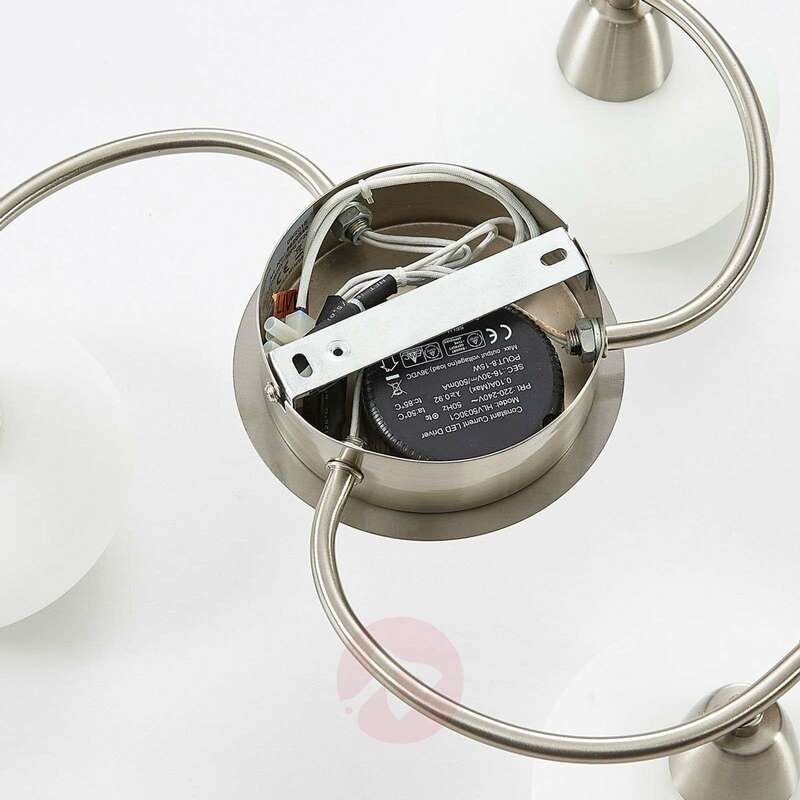 We offer 2 years warranty for our products. Is it true that the LED units cannot be changed in the event of failure? Thank you for your query. Yes, that is correct. 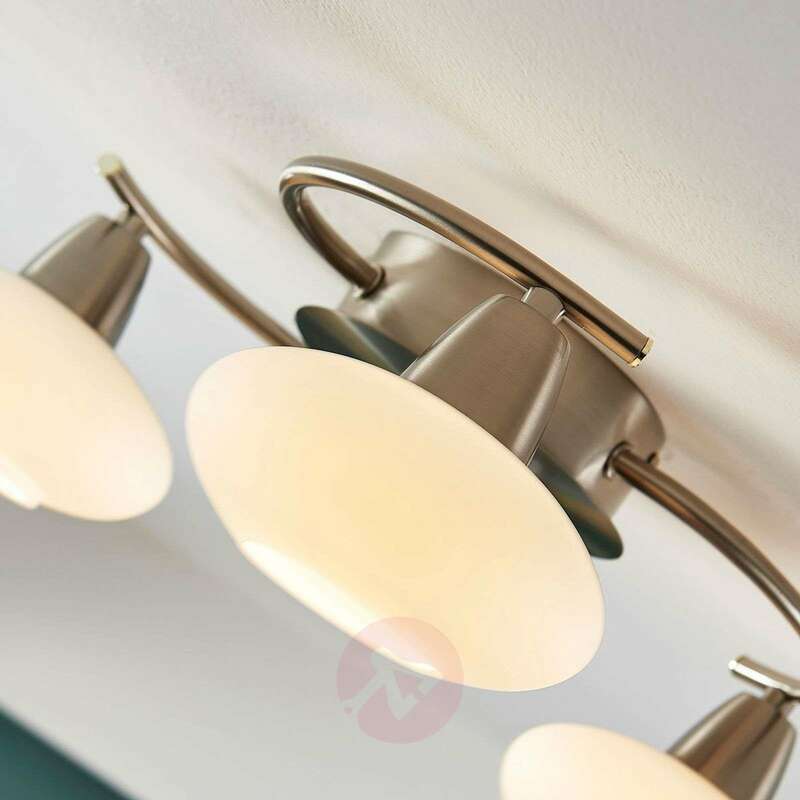 The LEDs cannot be changed but rather have a very long lifetime. My husband fitted the lights very easily. I usually leave the house if he is doing something like this. They are such good quality. They look very expensive and perfect for our lounge. The light that comes from them is fantastic, so much better than the dull glow from the other lights. 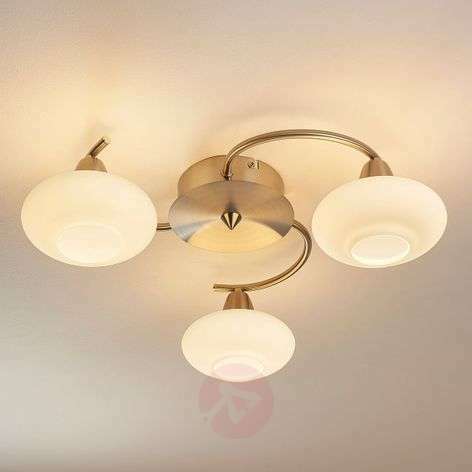 I would definitely recommend these lights to friends, family, or you reading this review.